Hello ... Hello ... my old friends ... It's great to see you once again! The subject of unofficial releases or 'bootleg' recordings can be emotive - if not emotional - for the fans and collectors of any band, especially ELO. From a personal point of view, I've rarely been tempted by such items but there are many folks who do include them in their collections and want lists. Yet, very rarely, something does come along that makes one consider another line of thinking. The above 2LP coloured vinyl album contains the entire set from last September's Hyde Park spectacular by Jeff Lynne's ELO and has turned up recently on eBay and other vendor sites for seemingly ridiculous amounts of money. Whilst being very attractive and well presented, this album is not sanctioned. But it does make you wonder why an official album and/or DVD release of what many pundits stated last year was the gig highlight of 2014 was never taken up by the BBC or the artist. Whether it be politics, commercial issues, publishing rights or something else, a major opportunity has been missed. For me, that is perhaps the overhanging controversy of the above double album. 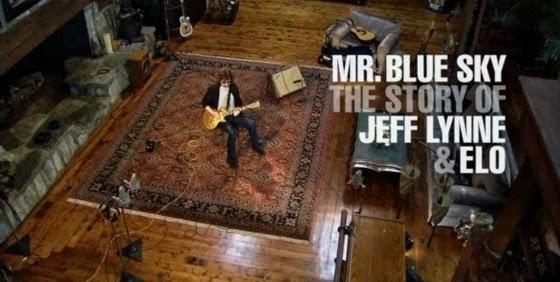 The same can also be said of the documentary "Mr. Blue Sky: The Story of Jeff Lynne & ELO". A film that also enjoyed extensive BBC coverage but has only seen a limited iTunes and amazon Instant Video [US only] download only release, making it also inaccessible for most fans of ELO/Jeff Lynne at the time of writing. No official DVD or Blu-Ray release ... yet. Commercially, both were winners and likely to sell well. One can only speculate as to the reasons behind the reluctance to release both or either. Having said that, the flip side of not releasing such items makes unofficial releases or 'bootleg' recordings all the more attractive to certain fans and collectors. Chicken and egg. Yours Truly KJS and ELO Beatles Forever [ELOBF] sincerely hopes that we see such official releases announced soon. I am not sure what to say about it, in my opinion it's wrong in so many ways, it's Piracy and Fraud it's illegal and if the perpetrators get caught it can result in a heavy fine and a lengthy prison sentence, I would say hardly worth it just to "add to collection" I would rather not risk that knock on the door thank you very much, and I would imagine Jeff along with many other artists would frown on such behaviour from his so called fans. 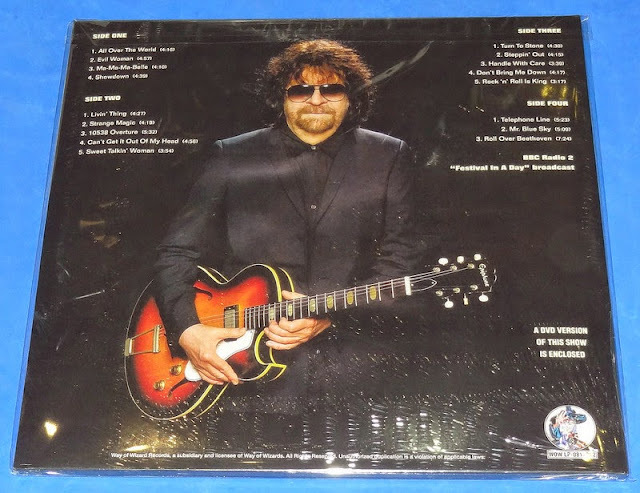 Jeff Lynne doesn't want to promote or tour, period, end of story. Have some humble pie sir. So you his manager then?? Got to agree with you, Keith, they would have raked in loads of revenue, had they released this gem officially! The fans want a reminder of such a brilliant gig!